Honolulu Community College’s Keiki Hauʻoli Childrenʻs Center was recently reaccredited for five years by the National Association for the Education of Young Children (NAEYC). Nationally only 8% of all programs in the nation meet the rigorous standards set forth by NAEYC. Keiki Hauʻoli is proud to be counted as one of only 7,000 programs to receive this honor. “It takes a lot of commitment to remain accredited. 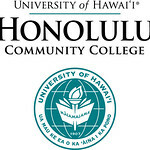 Staff, families, ECE Faculty and students, Advisory Board members, HonCC Administration, and many HonCC faculty and staff, worked diligently over the past five years to help the Center maintain a high level of excellence,” shares Janina Martin, Keiki Hauʻoli Children’s Center Site Coordinator. With an eye toward continuous quality improvement and multiple measures of self-evaluation, Keiki Hauʻoli is looking forward to serving the families of our campus for many years to come!